Today is will be our Christmas Market, and the last market until we return in March after a winter break. Come down from 4pm to grab yourself a bargain, with arts and crafts and food stalls with a range of produce all from local producers. To get you in the mood for a bit of Christmas shopping, we’ll be providing alternative Christmas Tunes from two of Stirchley’s (if not the country’s) biggest Christmas record enthusiasts, as well as classics from the 1920s-60s by the ladies from Sugarfoot Stomp. .. And they’ll be carols from a Stirchley-based choir. We’ll also be welcoming Centro back to the market with the Ramblers, who will be leading a walk from the market and back again from 5pm (wooly hat and torch recommended), around the sights of Stirchley, the River Rea, and Hazelwell Park. And… the big Christmas raffle, being drawn at 7pm, with tickets available up until then, with prizes including a pair of tickets to the CBSO’s Great Big Choral Christmas on December 22nd, a family ticket to the mac’s Christmas show, The Lost Happy Endings, running from 3rd December-7th January, and a pair of tickets to Stirchley Happenings’ own Xmas screening of Miracle on 34th Street on the 17th, as well as a host of prizes from our stallholders. All money raised from the raffle will go toward the market and helping us become more sustainable. 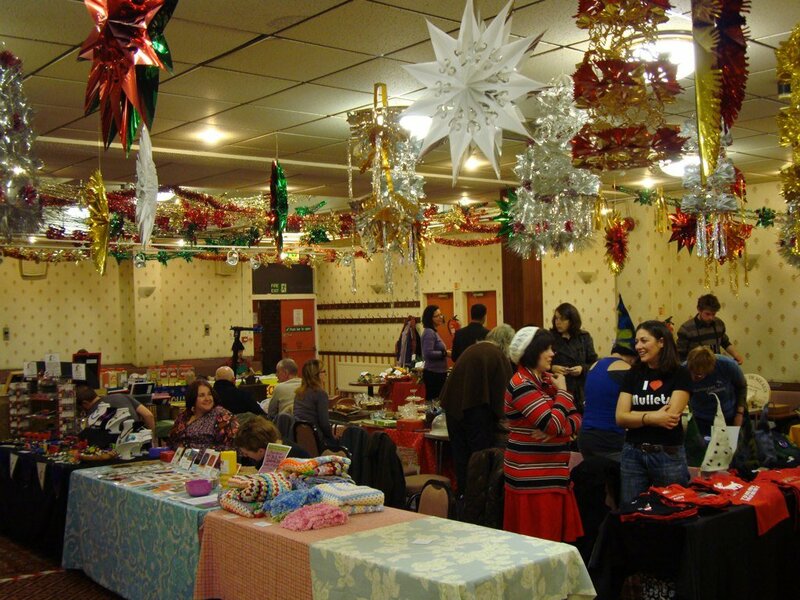 We hope to see you all there today from 4pm-8pm, at Stirchley United Working Men’s Club, Hazelwell Street, Stirchley.